With the holiday season in full swing, it can be difficult to find the time to prepare a festive holiday meal. Between readying the house for family, shopping for presents, and catching a seasonal event in town, the notion of cooking enough food to feed relatives at home or colleagues at a holiday party may feel daunting. Fortunately, Boulder has plenty of fantastic catering companies ready to provide gourmet holiday meals. Here are some great options. For over 30 years, Alfalfa’s has been offering local, organic food to the Boulder community. For the holidays, they’ve got an extensive catering menu featuring festive classics like a Rubbed Rib Roast, along with many vegan and gluten-free options like a Wild Rice and Mushroom Stuffed Acorn Squash. Be sure to order at least 48 hours in advance. Cured is a craft market dedicated to local artisan goods, including premier charcuterie, cheese, and wine. They offer pick-up feasts and full service catering, with high quality meal offerings curated for the holidays. Cured asks for a week’s notice to best serve your needs. As a paleo-centric eatery and marketplace, Fresh Thymes is a premier catering option for anyone with special diets. With a dedicated gluten-free kitchen, and full vegan options, this 2018 “Best of Boulder” award winner is sure to bring an innovative touch to holiday meals. With a private farm to draw from, Three Leaf Catering prioritizes fresh ingredients and customized menus. They offer gluten-free and vegan options, as well as festive non-alcoholic beverages. Their holiday offerings include the classics, as well as non-traditional options, all of which are customized to your wants. GB Culinary takes food grown on their own farm and gives it a Parisian twist, providing fresh, innovate cuisine. 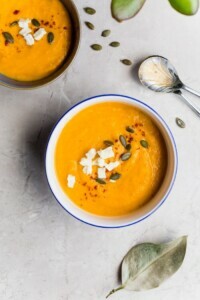 With a farm-to-table approach that utilizes a whole animal technique, along with a variety of beautiful vegan options, GB Culinary’s catering menu is sure to excite the taste buds. The Modern Edge is a full service catering company with an eye for personalization. They source ingredients locally, and provide holiday menus and service, including carving stations and interactive dessert stations. For 25 years, GreensPoint has been utilizing seasonally sourced ingredients to provide a gourmet catering experience that will suit any taste and dietary need. GreensPoint prides themselves on their food looking as good as it tastes, so this catered meal will impress family, friends, and colleagues alike. Their holiday menu is extensive, offering everything from Trout Pate to Butternut Bisque to Grilled Tri-tip. If you’re looking for catering this holiday season, Boulder offers a variety of options for every taste and dietary preference. These local catering companies share a priority in offering fresh and delicious food specially curated for the holidays. Be sure to contact them as early as you can to secure your date and customize your menu!